COMBINE YOUR DOMAIN EXPERTISE WITH OUR WEATHER ANALYTICS EXPERTISE. WeatherXM offers the best available weather data, historical, real-time & forecast, for your locations or sites. ForecastXM combines hyperlocal weather data from WeatherXM with your energy data and our cloud-based machine learning software to produce a highly accurate, hyperlocal, energy forecasting service. 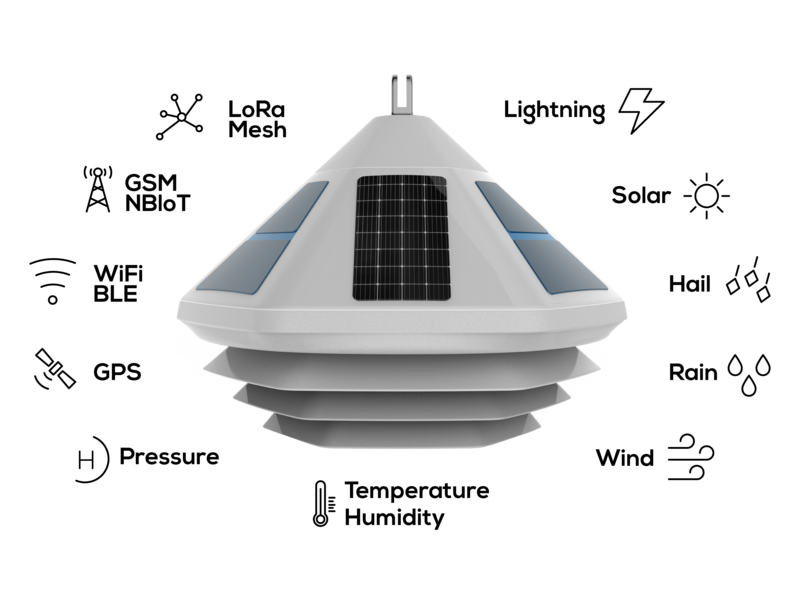 THE WORLD’S FIRST SOLID STATE WEATHER STATION, PURPOSELY BUILT FOR LARGE SCALE, DENSE NETWORK DEPLOYMENTS. From sensors to creating dashboards and reports, Ex Machina’s IoT platform enables us to monitor environmental conditions in real-time, with high detail and low cost. Accurately predicting the daily gas demand is critical for our company. Ex Machina’s cloud platform offers the high quality data we need, maximizing the capacity of our forecast mechanism.